Meg Whitman, one of the most prominent women in Silicon Valley and a onetime candidate for California governor, announced today she was stepping down as chief executive of Hewlett Packard Enterprise. 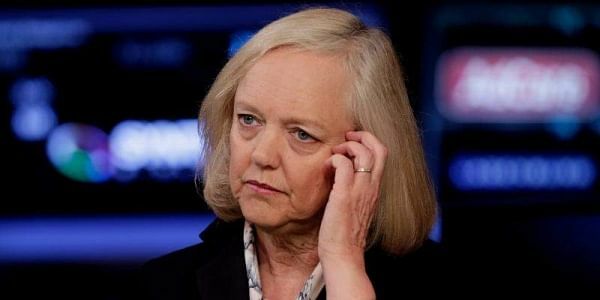 SAN FRANCISCO: Meg Whitman, one of the most prominent women in Silicon Valley and a onetime candidate for California governor, announced today she was stepping down as chief executive of Hewlett Packard Enterprise. HPE president Antonio Neri will take over as head of the company at the start of February, with Whitman keeping a seat on the board at HPE, one of the firms created in the 2015 breakup of Hewlett Packard. "I'm incredibly proud of all we've accomplished since I joined HP in 2011," Whitman said in a release. "Now is the right time for Antonio and a new generation of leaders to take the reins of HPE." Whitman, 61, was the top executive at eBay from 1998 to 2008 and has been a key figure in the male-dominated tech industry. She is also one of the wealthiest women in tech, with an estimated net worth of USD 3.2 billion, according to Forbes. Whitman was credited with leading a "turnaround strategy" as the computer company strived to adapt to trends in using mobile devices and cloud-based services for personal and work computing. She also engineered a split between of the HP enterprise unit, HPE, and the personal computer and printer business HP Inc. that became a household name but faced increasingly fierce competition. Whitman has dismantled some of the company in the face of trends that have people less reliant on home or work desktop computers. She ran unsuccessfully for as the Republican nominee for governor of California in 2010, losing to Jerry Brown. Neri, 50, joined HP in 1995 and has served in an array of roles, eventually leading HPE's primary lines of business. "The world of technology is changing fast, and we've architected HPE to take advantage of where we see the markets heading," Neri said. The announcement came as HPE reported a profit of USD 524 million in the just-ended quarter, up 73 per cent from last year, on revenues which rose slightly from a year ago to USD 7.66 billion.